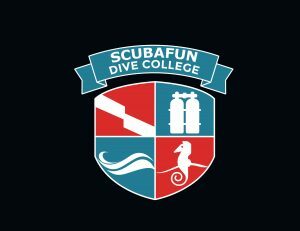 ScubaFun Dive College in the Dominican Republic in the Caribbean, is specialized in internship programs to train divers to the professional levels to become PADI Dive masters and PADI Instructors. With many years of dive experience all over Central America and the Caribbean including Mexico and the Dominican Republic our professional team can help our students to become qualified and well prepared for their new career in becoming a dive professional or recreational diver with the PADI dive courses we provide. The ScubaFun Dive College was the first company in the Dominican Republic to offer internship courses to the public and are happy to say that we are still as popular now as we was before. We are proud to say that we have trained thousands of students some of which are welcomed back year after year once they have qualified with us we find they want to continue their dive career with us .We are very proud to help our dive students become the safest and highest quality dive professionals that they desire to become. We offer local dives every day of the week to certified divers and have a Discover Scuba Diving program that is great for anyone who would love to try diving for the first time. You will not be qualified after this ‘experience’ but it will give you the opportunity to see if you like diving without committing to a Scuba Diver or Open Water Diving course. If you do like it and think this is something you could be interested in then why not take a look at our wide range of PADI courses and ask for any information you need to help you get started, we can cater to all your requirements and you will find us very flexible ensuring the course fits into your vacation plans. 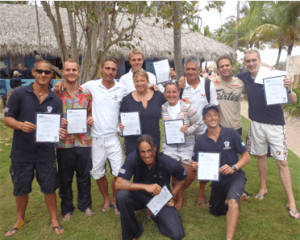 Our priority is not getting as many students through the PADI exams, but to train competent dive leaders and instructors, who know how to control and teach student divers the safest way possible. We aim to deliver this training in a great environment that includes modern equipment and a professional team. We include E-learning, to get our students to prepare by studying their dive theory before they actually get to us in the Dominican Republic. Professional Dive Students that are on our PADI IDC can take some of the IDC sections at their own pace and time online before they get to us also. This will take away a lot of unnecessary stress during your actual instructor program and allows you to focus completely on your teaching skills. You will be involved with our instructors in training new divers and to teach courses that will bring the real life experience you need to become a PADI Instructor or PADI Divemaster. Diving at the Caribbean side of the island is possible all year round due to the great weather conditions that we have here. It also means that we will never have to cancel a trip and you can complete your course in the time frame required. The island is the perfect location and with the calm warm waters and the excellent visibility you will be able to enjoy the lovely coral reef while you dive. We think every dive professional should have some basic knowledge about marine life, corals and reef conservation and its protection. That is why we include in all our professional programs, a training with the recognised marine conservation organisation, FUNDEMAR. There you will learn about marine first aid, how to do research on the reefs and get involved in our own coral farm right in front of our dive base. The techniques that you will learn will allow you to assist in research programs worldwide. Because of many extra costs involved in the professional level courses, we offer an all-inclusive program so there will be no surprises and hidden costs on books, PADI fees, rental equipment, airport transfers etc. Take a look at our all-inclusive programs and certified diver excursions and feel free to contact us with any questions you might have.